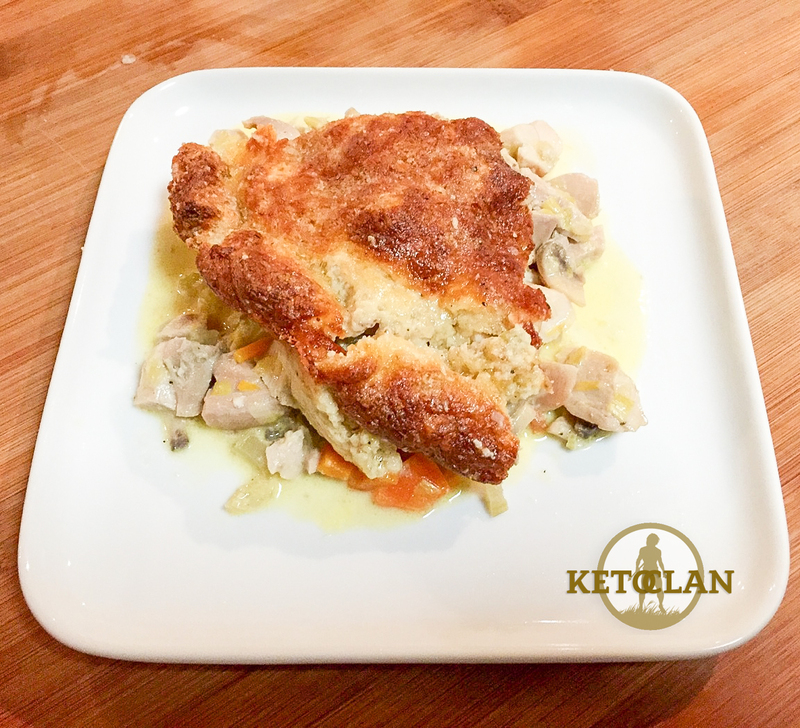 This chicken pie although yummy has one big no no that usually we wouldn’t eat and honestly since we started the keto lifestyle we haven’t had until last night and that is carrots! I’m not sure why I gave in last night and put these in (was a very small carrot) but I did and it was super yummy so I don’t regret it 🙂 but if you are like we usually are you can just take the carrot out, I don’t personally think it will lose that much flavour if you don’t add it in. I just had a moment of weakness and wanted that sweetness that only a carrot can give. I think sometimes you need to relax up a little bit and if a carrot is the worse I do I can live with that. And if your doing not a Keto diet the carrot won’t bother you! So your free to enjoy it. 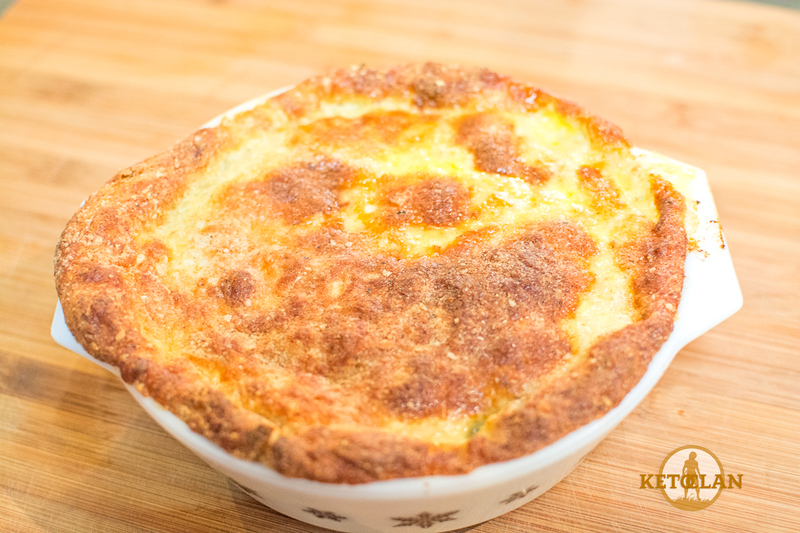 This chicken pie is perfect for those colder nights and we seem to be having plenty of those lately. There is slightly more prep time in this meal but it is well worth it, and if you don’t have children running around you it probably won’t take you as long as it takes me. 1. Dice your chicken thigh to the desired thickness you like. Heat a small amount of your butter then add the pieces of chicken and cook until lightly browned and almost cooked through then transfer the chicken to a plate and set aside. 2. While that is cooking dice your mushrooms, carrot, leek, celery and crush your garlic. 3. When you have transferred the chicken to another plate add the remainder butter to the pan and add your carrot, leek & celery let this saute for about 3-5 minutes. 3. Add in your garlic and mushrooms and continue to give a good stir. let this cook for another 3-5 minutes. 4. Add your white wine and let this cook down for 2-3 minutes. 5. Add your chicken stock and also let this simmer for a few more minutes. 6. Now add in your cream cooking for a further few minutes, then return your chicken to the pan. 7. For the Pie crust place the mozzarella in a microwave safe bowl and cook for 90 seconds, then add and stir the cream cheese once that is combined stir in the remaining ingredients. 8. Tip your chicken mixture into your oven dish, and then roll your pie crust out and place over the top of your dish. 9. Bake in the oven until the pie crust is crispy and golden.